Test your power in the new Extreme Quests! Or we could say, “Added New Accessory (新アクセサリー追加),” even though there’s lots of new accessories in the AC Scratch. Out of habit, when these nouns are used, we typically use the plural form, because most of the time we get multiple things at the same time. For example, each time a new episode launches we “Add New Skills (新スキル追加)” even though the Japanese uses the singular form of the noun. So just be aware that we might use one form or the other even though it might be singular or it might be plural. ※In the Quests above: You cannot use Scapedolls, Half dolls, or Dark Blast. Gene’s Partner Card will be available! Added Chapter 3 to the Ep5 Story. Adjusted the graphic of the Transfer Device in Omega. Adjusted all Free Fields, so the quest does not fail when all party members return to the campship at the boss area. Free Fields will now be grayed out when not unlocked, and the unlocking conditions will now be displayed in a window. For the [Freeze Barrier], changed specifications in order to prevent unnecessary access if the applicable Buster Tower is destroyed. Changed specifications so that the Buster Quest’s [Quest Record] will display for each grade. ※Due to these changes, [Main Match Advanced (Grade 3+)] will now state that it requires “3000+” Buster Points. Changed specifications so that when you accept a Buster Quest with a password set from the Bridge, you will now transfer directly to the Camp Ship. For Arks Quests and Free Fields, the Quest Unlocking Status will now be recorded as Account shared instead of Character based. Arks Road is being adjusted to follow the deletion of certain Client Orders. In Ep5 Main Quest, removed the need to clear Buster Quest to proceed. In Ep5, you can now move to an other location from the Bridge Teleporter prior to starting the fight with Profound Darkness. Eased the objectives for「難易度制限解放試練・Ⅰ」and「難易度制限解放試練・Ⅱ」to make it easier to unlock the difficulties. With the field unlocking changes, some Client Orders will be removed from Koffie. For Claris Claes’ COs, changed the unlocking condition from [Lv.70+ Force/Techer] to [Lv.70+ in Any Class]. For the Skill Ring [L/Step Jump], changed it so the effect can be obtained when evading in the air. For pets, changed the timing that the pet will return to the player when they are a certain distance away from the player. While Premium is active, a +50% Triboost effect will always be active. You can now use two iterations of the same ticket on a single character. ※Usage Status of the ticket will be displayed in the item details. You can now select “Play Environment (Platform)” when registering and searching for applicants to join your team. The Casino Coin carryout limit will be removed. Any Casino Coin cap tickets left unused can be exchanged for certain items in the recycle shop. Added an icon and a note if a music disc can not be played in PSO2 Cloud. Added a [PSO2 Cloud] entry for Battle Arena Rankings. From the Quest Counter and Bridge, you can now select and accept Free Field quests via the Omnibus Quest [EP1 ~ EP3] menu. [Lobby Actions] in the Quick Menu will now display an operation guide. Changed the display contents of the [Registered BGM List] window in the Vita version so that it matches the PC version. Added the option to change the format of the menu when you click on a character. Changed some of the weapon palette’s default settings when creating a new character. Changed the size of the [Current Status] window next to the Character Information pane. Increased the power of barehanded attacks. Changed CO rewards and objectives for a variety of NPCs. Relaxed the difficulty and adjusted the HP of Buster Piles and Towers based on the # of participating players. Sega has put up a new Player Survey regarding the latest updates and balance adjustments. Filling out the survey within the Campaign Period will reward you with 40SG at a later date. 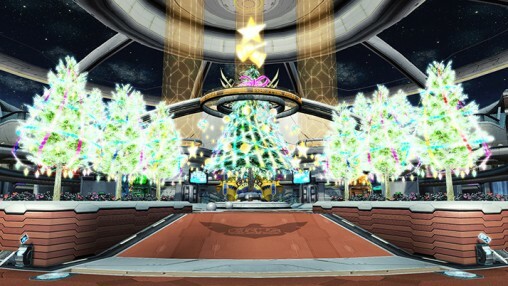 SEGA will be hosting a pre-registration campaign to celebrate PSO2 Cloud’s Service starting up soon! All players who clear both campaign conditions will be rewarded with items to enjoy while on their adventures! If you do not have a SEGA ID yet, you can register with the assistance of our Registration Guide. 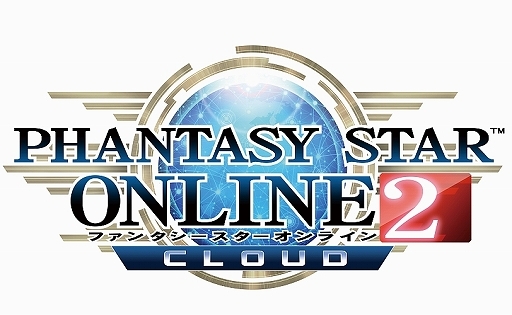 (2): Login to PSO2 Cloud between April 4th’s Maint and May 6th. ※[Bonus] items can be claimed from the Visiphone.